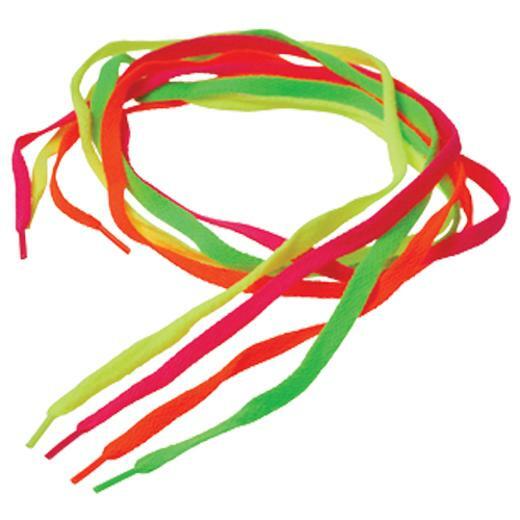 Cheap Neon Shoe Laces - 12 Ct.
Be sure to stand out when your wear these neon shoe laces. The shoe laces are compatible with sneakers, skates, or any other lace up footwear. Fill party favor loot bags with interesting novelties like these. You'll find a wide selection of novelty toy party favors at affordable prices. Stock up today for loot bags or carnival redemption prizes. L: 7.35 in. W: 1.95 in. H: 8.8 in.